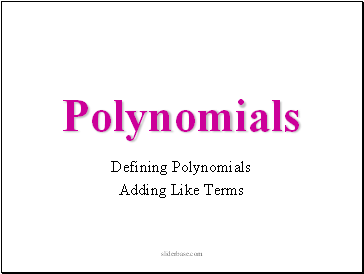 Monomials - a number, a variable, or a product of a number and one or more variables. 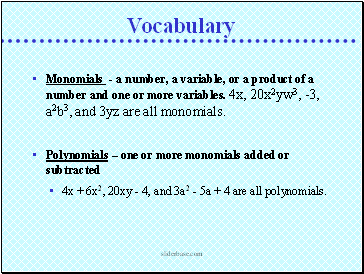 4x, 20x2yw3, -3, a2b3, and 3yz are all monomials. 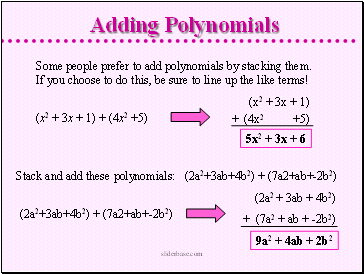 4x + 6x2, 20xy - 4, and 3a2 - 5a + 4 are all polynomials. 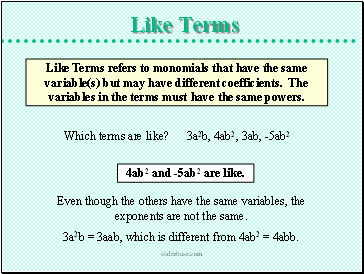 Like Terms refers to monomials that have the same variable(s) but may have different coefficients. The variables in the terms must have the same powers. 4ab2 and -5ab2 are like. 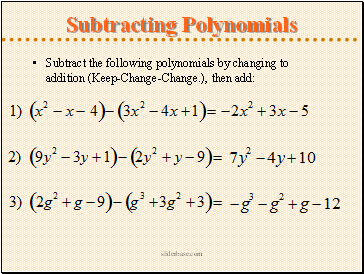 Even though the others have the same variables, the exponents are not the same. 3a2b = 3aab, which is different from 4ab2 = 4abb. -3 and 0 are like. 3x and x are like. 2wx and 4xw are like. 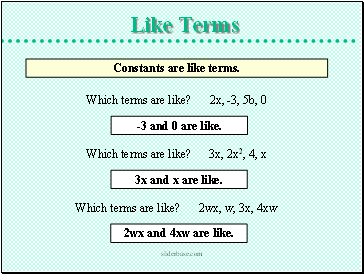 Notice: ‘3x’ doesn’t have a like term. 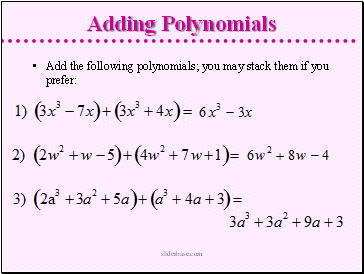 Some people prefer to add polynomials by stacking them. If you choose to do this, be sure to line up the like terms! 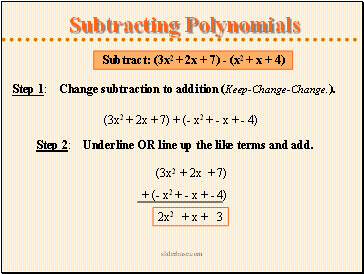 Step 1: Change subtraction to addition (Keep-Change-Change.). 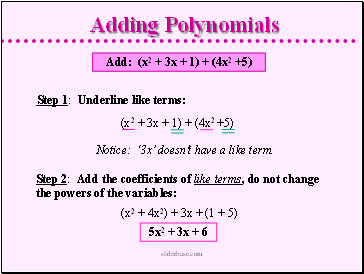 Step 2: Underline OR line up the like terms and add.